I have always heard about the theory that chewing gum while studying or before a test could improve your test results and never really understood the concept of it. My sophomore year of high school is when I first tried it; I studied for my biology midterm while chewing gum and chewed gum during my exam the next day. After getting my grade back and doing more than average, I was convinced that this was more of a mind over matter type of thing and that the reason I did so well was because of how hard I studied, not necessarily because I chewed gum before and after the test. However, after reading your blog my opinion on that changes some. Similar (basically the same) to what you blogged about, Below is a study where they talk about chewing the same flavor while studying and taking your test with that same flavor gum makes a difference in your grades. I actually used to chew gum during every exam because I heard it would help me. 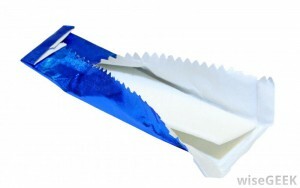 I heard that if you chew the same gum when studying that you chewed during the test, you would remember more. Is there anything you used to do to help you on exams? Actually this is a very interesting topic to me because I have never heard that chewing gums while studying and testing will improve your grades. I do not always chew gums, but I will try once to see if it actually works. Here is a link to an article, and I hope you enjoy reading it! Hey Mak, I can offer a different look on your topic. From the world of sports especially baseball chewing gum is a great way to calm the mind. Back in my Little League days I always had some Big League Chew to munch on it would help me focus and take a lot of the pressure of my shoulders. Next time you watch a baseball game just look at all the players and coaches chewing gum. As for you blog, I think it was very well done and fun to read. Honestly, it never occurred to me that chewing gum could help with athletic performance. It would definitely make sense that one could benefit it, because from what I’ve concluded, chewing gum heightens awareness. Baseball is all about awareness, the balls move extremely fast. Personally, I think watching baseball is extremely boring, so chewing gum before a game might be a good idea for me if I want to stay entertained. I’m not necessarily saying I don’t like your sport (to each their own) I’m just trying to stick to the science behind gum. Thanks for the kind words! I ate so many peppermint lifesavers in school. Chewing gum was reprimanded with detention, so peppermint hard candy was pretty much everyone’s “gum.” Peppermint flavor was used in the last study from Coventry University. The minty flavor was believed to help the students stay aware and awake. The peppermints probably helped your test scores, but probably only for the first 20 minutes of the exams. Hey mak, I have taken up the habit of chewing the same flavor of gum while studying and while taking the test i was studying for. In high school, this seemed to have a big effect on my test grades. Now that I think of it, i’m wondering if just thinking this strategy could improve my grades caused me to go into the test with more confidence and optimism leading to better grades. I have no idea, Let me know what you think. 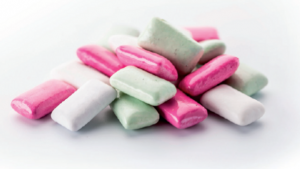 Although my blog post was about how chewing gum helps students stay awake and aware during examinations, your habit of chewing the same flavor of gum is very interesting. I’m not a guru, but is it safe to say that you chewed the same flavor in hopes of having your memory connect the taste of the gum to the subject you were studying? I’ve heard of people listening to the same song while taking an examination as they did while preparing for it, but I’ve never heard of it being done with flavors of chewing gum. That’s a pretty neat idea. I don’t know how the gum would affect your confidence or optimism, but in another one of my posts I talk about how music can affect one’s mood and how music is beneficial while studying. If you want to check that one out I’d be happy to reply to another one of your comments. If you feel like chewing gum is helping you in your studies, don’t stop. It’s doing more positive than negative.